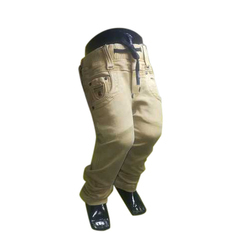 We are offering the quality range of Fancy Boys Jeans in the market with the support of experienced professionals. 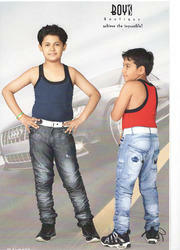 Enriched with years of experience in the industry, we are engaged in offering Boys Party Wear Jeans. Enriched with years of experience in the industry, we are engaged in offering Kids Fancy Jeans. In order to keep pace with the never-ending demands of customers, we are involved in offering a wide range of Rough Denim Jeans. Tic And Two Clothing Co.